The Nissan Rogue is one of the best-selling SUVs on the market. The Kia Sportage is a techy SUV right on its heels. Which is better? Let us help you find the right buy for you. The 2017 Nissan Rogue offers options, including a third row on some trims. What's left is a cavernous cabin with 32 cubic feet of cargo space and ample room for five passengers--and a little less for the third-row passengers. The seats are comfortable and the interior upscale. The luxurious cabin is one of the Nissan Rogue's strongest selling points, and it shows. The 2017 Kia Sportage seats five on two rows with nearly the same amount of cargo space. Like the Rogue, it sports a quiet cabin, luxurious interior, and spacious seating. As an added bonus, it boasts reclining back seats so people might fight to not have shotgun--but it doesn't offer a third-row option for those who want it. 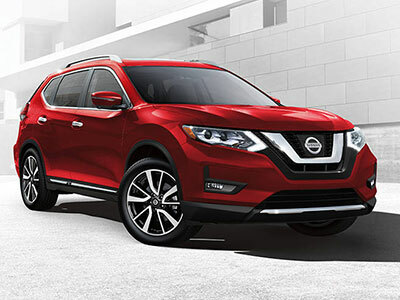 The 2017 Nissan Rogue offers a 7-inch touchscreen standard, but it doesn't offer Apple CarPlay or Android Auto for smartphone connectivity. What it does offer is the NissanConnect infotainment system, which can feel complex and buggy. Other features on the Rogue include heated seats and steering wheel, digital display with physical knobs and buttons to control it. The Kia Sportage has fewer tech features on its base model, but covers the important ones with a smaller 5-inch touchscreen, UVO infotainment system, six speakers, Bluetooth, satellite radio, and USB port. The UVO infotainment system is well-designed and intuitive. Smartphone connectivity doesn't come standard but is an option (which the Rogue can't claim) along with heated side mirrors, dual-zone automatic climate control, push-button start, panoramic sunroof, larger touch screen, a faster-charging USB port, navigation, HD Radio, a premium audio system, and hands-free power liftgate. Though it's bigger, the 2017 Nissan Rogue wins this category, with 26 city and 33 highway miles per gallon. Upgrade to the hybrid model and boost your fuel economy with 33 city and 35 highway miles. The Nissan Rogue and Kia Sportage are pretty evenly matched in interior comfort and tech features. But with better fuel economy, more standard features, and the new ProPilot Assist, the Rogue is turning heads once again. Come test drive the Rogue and get a glimpse of future driving. The Kia Sportage gets a mere 22 city and 29 highway miles per gallon. That's near the bottom of the pile, below the Nissan Rogue, Chevy Equinox, and Mazda CX-5. It's an improvement over the fuel economy of previous years, but not by much. The 2017 Nissan Rogue scored four stars in government crash tests. However, because of its safety features, the Rogue received the IIHS Top Safety Pick + distinction. With lots of active safety features but none of them standard, the Kia Sportage offers blind-spot and rear-traffic alert, lane-departure warning, autonomous emergency braking and outside-mirror turn signals, electronic parking brake with auto hold. It earned five stars in its government crash testing. The Nissan Rogue and Kia Sportage are pretty evenly matched in interior comfort and tech features. But with better fuel economy, more standard features, and the new ProPilot Assist, the Rogue is turning heads once again. Come test drive the Rogue and get a glimpse of future driving.